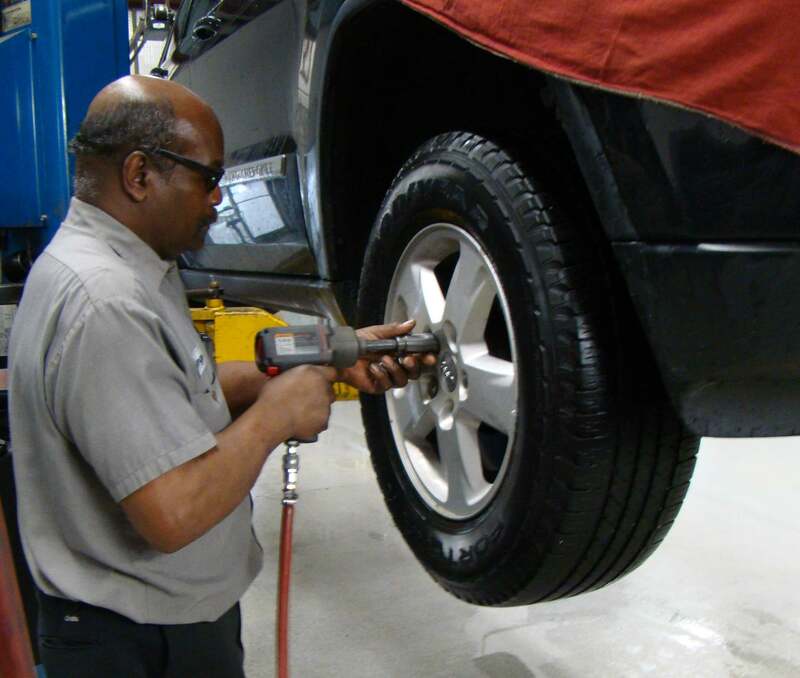 At Cary Car Care, we recommend your tire rotations be scheduled with your oil change intervals. If you are on a conventional oil change interval, we recommend rotating your tires every other oil change which will be about every 6000 miles. If you are on a synthetic oil change interval, we recommend rotating your tires every oil change. This keeps you from having to make extra trips! In fact, to maintain your tread wear warranty offered (if any) by the tire manufacturer, the tires must be rotated every 7500 miles. Additionally, tire rotations are necessary to distribute tread wear evenly and can ultimately prolong the road life of your tires. If you notice uneven wear in your tread, bring them in for a tire rotation. Our service and repair center is located in ​Cary, NC. There are certainly a lot of factors that can affect your tire wear. These factors include but are not limited to: consistency of tire rotation, driving habits, type of vehicle, and the alignment. In particular, when the vehicle is within alignment the tires should last longer and perform optimally. Having the alignment corrected can also improve your gas mileage, the handling of the vehicle and ultimately, create a safer drive! If your vehicle is in need of an alignment, it’s possible you will experience some symptoms. Some easy to notice symptoms of a misaligned vehicle could include: excessive or uneven tire wear, vehicle drift or pull, a feeling of looseness or wandering, and/or an out-of-level steering wheel. A misaligned vehicle can be caused by a number of things, including running over potholes, accidents, hitting a curb, etc. Even if you haven’t experienced any of these situations, it’s a good idea to have your vehicle’s alignment checked at least once a year. 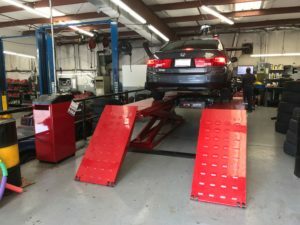 Cary Car Care just recently upgraded to Hunter Hawkeye Elite alignment equipment. 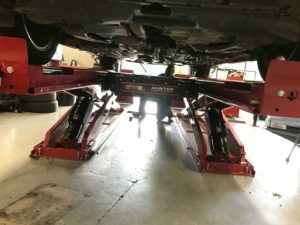 To check your alignment, our technicians will mount targets on each wheel of your car that will then use four precision cameras to measure the position and orientation on each wheel of your car. The technician takes this information to calculate your car’s current alignment measurements and compare them to the car’s manufacturer alignment specifications. Cary Car Care will also check the suspension for any damage and make recommendations for your vehicle’s needs. Once the proper adjustments have been made to the vehicle, our technicians will test drive the car and return it to you for safer driving. Please contact Cary Car Care if you notice any of the symptoms above or if you would like to have your alignment checked! Our service and repair center is located in Cary, NC. We’re always happy to help and/or answer any questions you may have.